Why Wasn't The Earth A Ball Of Ice For Billions Of Years? Carl Sagan said that the weak rays of our Sun during Earth's early years should have created a planet ensconced in ice. Yet somehow Earth's temperature's been mostly constant, and above freezing. Now two Danish scientists think they know why. Carl Sagan and George Mullen put together the 'faint young sun' paradox in 1972. It boils down to this: Early in the 4.5 billion year life of our planet, the sun would have been functioning at 70% capacity, which should lead to a planet covered in ice. Yet all analyses point to a fairly constant temperature over most of that time, which was warm enough for liquid H2O. How did the planet manage to avoid becoming an icy sphere? Up until now, the predominant theory was that the Earth must have had a much thicker greenhouse layer — comprised of approximately 30% CO2 — in the distant past in order to create the extra heat needed to keep us from becoming an ice planet However, Professor Minik Rosing, from the Natural History Museum of Denmark, recently analyzed samples of 3.8-billion-year-old mountain rock from the world's oldest bedrock, Isua, in western Greenland. According to these samples, CO2 levels were 3-4 time their current amount, which is nowhere near what would be required for the planet to still have liquid water on it. What prevented an ice age back then was not high CO2 concentration in the atmosphere, but the fact that the cloud layer was much thinner than it is today. In addition to this, the earth's surface was covered by water. 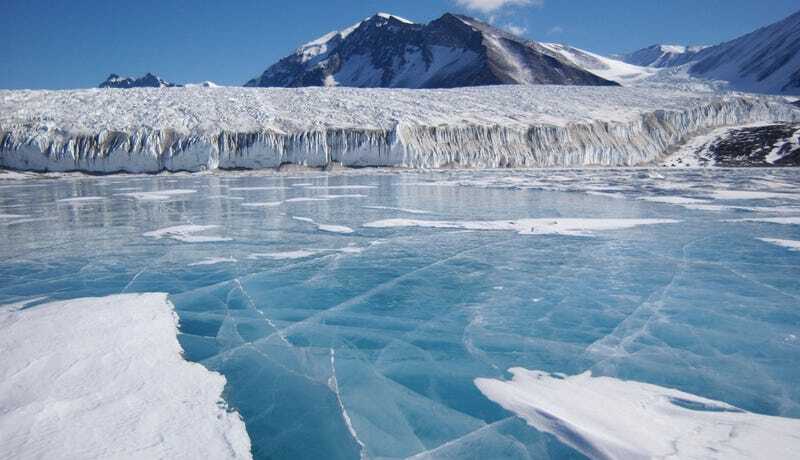 This meant that the sun's rays could warm the oceans unobstructed, which in turn could layer the heat, thereby preventing the earth's watery surface from freezing into ice. The reason for the lack of clouds back in earth's childhood can be explained by the process by which clouds form. This process requires chemical substances that are produced by algae and plants, which did not exist at the time. Today the [CO2] graph is turning upward. Not least due to the emissions from fossil fuels used by humans. Therefore it is vital to determine the geological and atmospheric premises for the prehistoric past in order to understand the present, not to mention the future, in what pertains to the design of climate models and calculations.